Hello everyone! 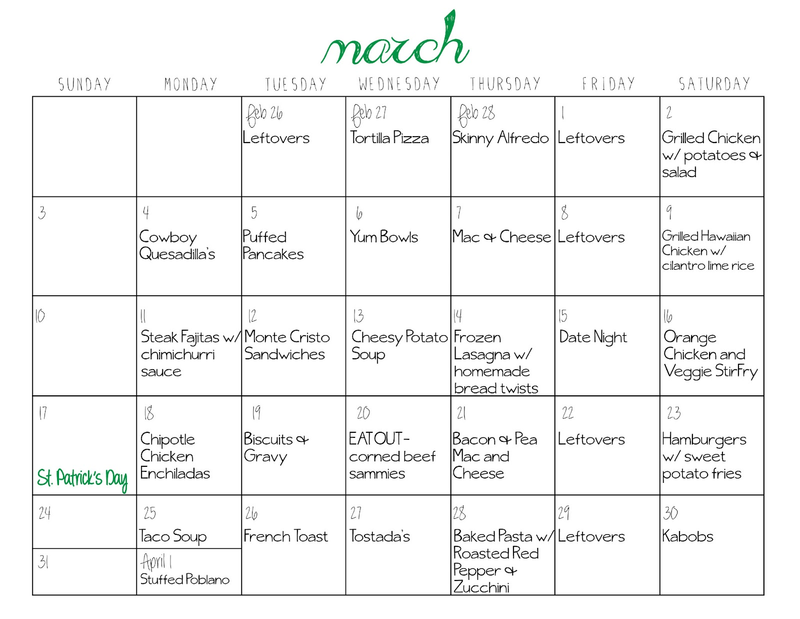 I'm finally getting my March menu plan up... a week late. It's so much work, but it has helped me keep track of the recipes I want to try. While I was compiling the list of recipes, I was feeling overwhelmed at all the "fancy" meals on this list. But, we are going to power through and it will be worth it. Sometimes I wish that I was a "food blogger" but do you know how much time those wonderful people take to photograph and post their recipes. I'm here to tell you that it takes a TON of time!! Hats off to you! 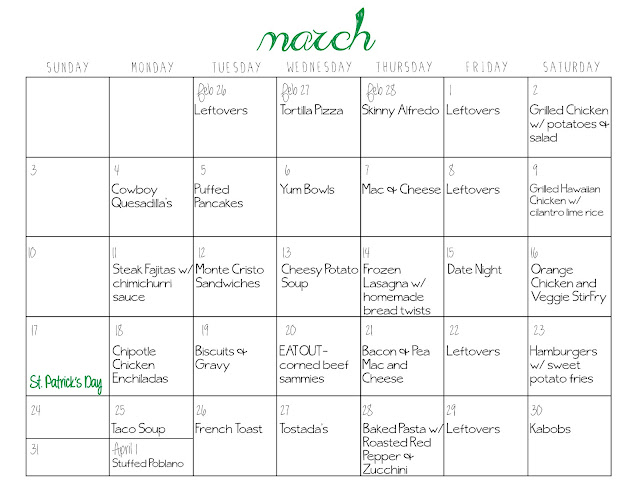 Also, in my mad rush to finish this, I forgot to put a star next to the recipes that are included in the PDF. Sorry. Guess you'll just have to check it out and see what recipes are included. If you want a recipe that I did not include, email me. I'll be happy to send it to you. The recipes that I don't include are my own or family recipes.